Yellowdock – Weed or Wonder? First off, I am so glad that one of my subscribers asked me to write about how to make your own DIY essential oils. This is a great topic and one that I’ve always wanted to delve right into, and I so appreciate the chance to have studied essential oils over the past few months in order to answer his question. To be honest, as much as I love do-it-yourself herbal projects, I always believed that making essential oils (EO’s) was way too complicated for this herbalist. 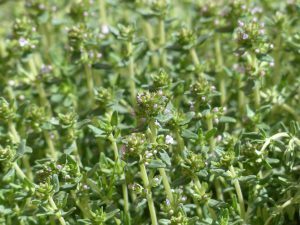 Before doing research for this report, I figured that distilling your own herbs (separating oil from water with steam and pressure and returning the oil to a liquid state) was impossible to do without expensive equipment and a ton of herbs. 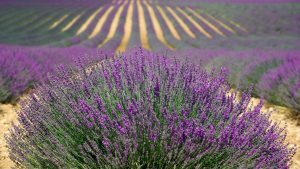 While it’s true that only 100% essential oils are made via a complex steam distillation process, to do it this way from home would be far too cost-inhibitive, and where the heck will you find 3 TONS OF ONE HERB?! So unless this is your one true passion, or a traditional family business (as it is in places like Bulgaria), or you’re just insanely rich and have a lot of time on your hands, do not expect to make 100% pure essential oils at home. 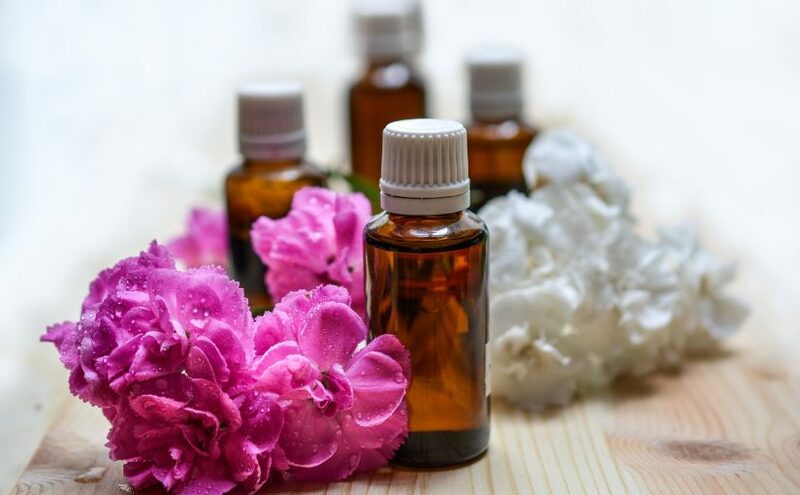 Is it Possible to Make DIY Essential Oils at Home? BUT, and here’s the big but: do we need 100% pure essential oils to use these plant essences as medicine? I think not. Though many people may consider the 100% term simply a way to denote pure product from oils that have additives for cheaper production costs, I view the ‘less than 100%’ as an opportunity to get some of these amazing herbal properties right at home, with herbs that grow in my area. Let me give you an example. I have been using essential oils (100% pure!!) for over fifteen years. 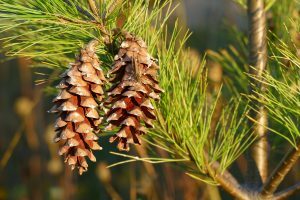 One of my favorites is pine oil. Being in the Pine Tree State of Maine, I’ve used pine medicine in various ways. One of these ways involves my daily walks in the woods. Especially in the winter time, I like to snap off a small twig from one of the many majestic pines in my neighborhood, and take a big huge whiff at the point of the break in the plant. This, my friends, is essential oil therapy. No, it’s not 3 tons of herbs steam pressurized and separated. But in my humble opinion, and I have also whiffed pine essential oil right from its little 100% bottle, I’m telling you it has almost the same effect: clearing up my sinuses, enabling me to breathe a little more deeply. So that’s one way to enjoy a fragrant medicinal herb. I’ve also done this ‘simplers method’ by rubbing basil leaves in my fingers and smelling that aroma. Virtually any plant that is fragrant can be manhandled and whiffed for a great, refreshing spurt of essential oil. What I’ve recently discovered, thanks to my curious subscriber, is that there are several other ways to extract essential oils at home, in the kitchen, without a distillery. And without herb tonnage. Yes, use your crock pot! Fill your crockpot with the plant material of your choice (can be fresh or dried) and cover completely with distilled water (found at grocery store in water aisle). Cook on low for 24 hours. Remove lid, cover with cheesecloth and let it set for 7-10 days. Carefully collect the oil droplets that have surfaced with a spoon and place into a dark container. Cover that with a piece of cheesecloth and set it out for another week so any leftover water can evaporate. Lid and store in a dark cupboard, using a dark container. Put ground up herbs in a cotton bag, tie it tightly shut, and put it into a large pot of distilled water. Simmer for 24 hours and then allow to partially cool. Then, after squeezing the bag a few times over the pot and letting it settle, collect the oil off the surface of the water. Again, let the container set out with a piece of cheesecloth (in pickling supplies aisle in stores) so excess water can evaporate. Using your ceramic crockpot once again, stir in about one ounce of your chosen herb in with 2 cups of extra virgin olive oil. Cook on low for 8-10 more hours. Then strain with cheesecloth or an unbleached coffee filter and, yeah that’s it! Store in dark glass jar. I am going to make my own DIY essential oils using at least one of these methods. I will write about it and create a video to make sure you guys get all the additional information. I’m not sure exactly when. First, I have to decide on which herb to use. The more the better and some of the aromatic herbs I have locally in abundance include Sweet Fern (which smells like cinnamon), and I also have Rock Thyme, that I planted 15 years ago and has since then made a life of its own, I now consider it a wild plant. My guess is that it would be one of those amazingly medicinal essential oils. Please stay tuned, it may take me a while to make my own essential oil and prepare the results for you, but I do promise to do it. So, consider this Part 1 of DIY Essential Oils, with the practical, or Part 2 to come in the future. On a side note, one of my books, Immune System Boosters, has a relevant chapter about using essential oils for immunity, and talks about why August is the perfect month to focus on this aspect of wellness. If you want to read that, it’s available here on Amazon for only $1.99. Thanks for reading today, and have a wonderful weekend.